Being a blogger really means you’re juggling about 20 different jobs on any given day! Writer, photographer, editor-in-chief, social media coordinator, video editor, contract negotiator, bookkeeper, publicist, and SEO specialist, just to name a few. Are you overwhelmed trying to figure out the best way to get organized and manage your time? Do you want to feel like you are finally in control of your business? Our 62 page eBook, “How to Organize Your Blogging Business Without Losing Your Mind,” is the step-by-step resource you need to save your sanity AND grow your blog’s influence and income! It might seem overwhelming, but just stick with us… We’ll teach you how to use Airtable to organize every aspect of your blog business! What are you waiting for? 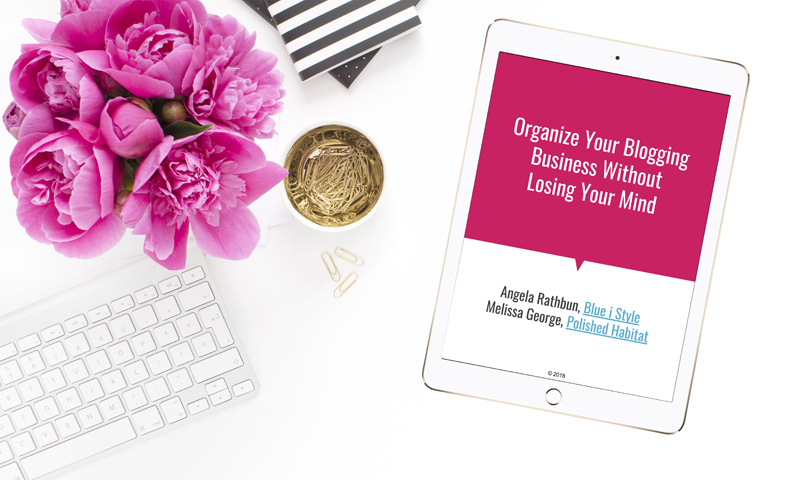 Order your copy of Organize Your Blogging Business Without Losing Your Mind now! About the Authors: Who We Are & Why We Can Help! As home decor and organizing bloggers, Angela & Melissa have become pros at calming the chaos in our homes and creating systems that keep the whole family on track. Yet despite all this home organizing knowledge, we were struggling to create systems that could keep us on track in our business lives. 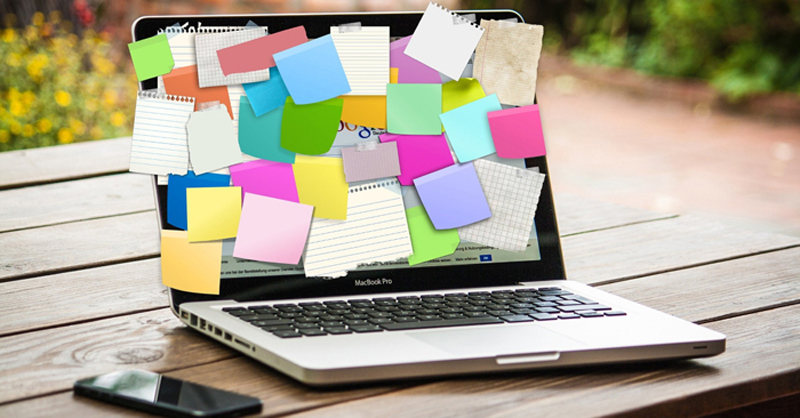 With the crazy number of blogging tools we were using, we still felt disorganized because we had spreadsheets and notes all over the place. 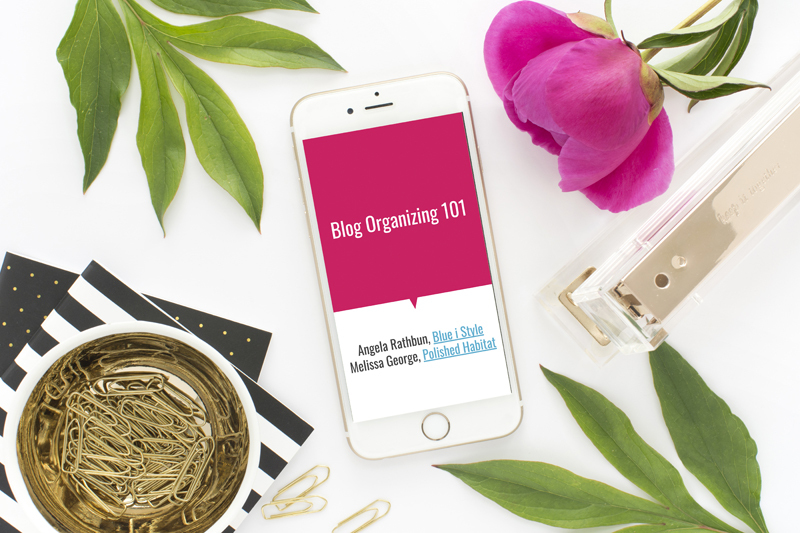 Then it occurred to us that maybe we could use the same step by step organizing process that we use in our homes to finally get our blogging businesses organized as well. It worked! This step by step process, combined with our organizational and project management experience, became the basis of our book, Organize Your Blogging Business Without Losing Your Mind. 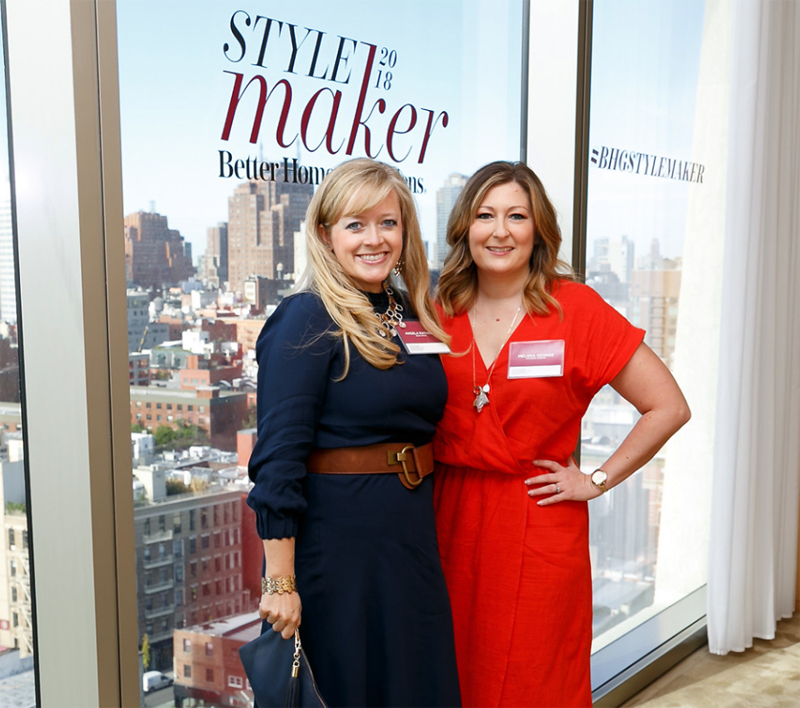 Angela Rathbun, founder of Blue i Style, aims to teach readers that decor should be functional, organizing can be beautiful, smart DIYs help stretch your budget, and an organized and stylish home can still be practical for life with kids. An attorney by education, Angela also holds degrees in management and marketing, but blogging full-time allows her to pursue her real passion of helping others create organized and beautiful, happy homes – and now, organized blogging business as well! 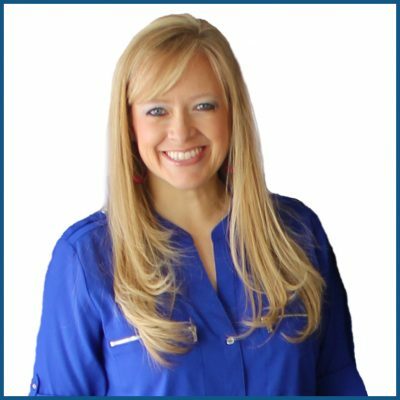 Angela’s work has been featured in print in Better Homes & Gardens and 5280 Home magazine, and online by HGTV, the Today Show, Good Housekeeping, and more. Melissa George, founder of Polished Habitat, shares her passion for intersecting style and function through easy to implement organizing tips, home decor tutorials, and creative ideas to help readers think outside the box, no matter their budget. Soon after falling in love with blogging, she stepped away from her left-brained role as a project manager with an accounting degree to pursue her right-brained dreams of running Polished Habitat full-time. Melissa’s work has been featured in print in Better Homes & Gardens and Room to Create Magazine, and online by HGTV, House Beautiful, Brit & CO and more.